Johann Kempf and his wife Margarethe relocated to the town of Horn (moving into house number 46) after having left the company of Winter & Co. in Elbogen, a company they had helped founding in 1887. With the money from the sales of their house and their company share they instantly founded a new pottery which mainly manufactured undecorated household wares. Even if it was not very large and well known, it was able to support Kempf and his family for a few years until he was forced to sell the business. 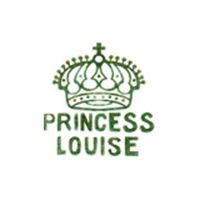 The pottery was in 1897 purchased by Louise Klier who planned to create a small business for her husband and herself, therefore the far too small pottery was transformed into a porcelain and earthenware factory. Shortly after reconstruction was finished and production was about to start the whole situation changed as her husband Alois Klier received the position as main decorator at the ⇒Porzellanfabrik 'Austria' K. Speck, Benj. F. Hunt & Söhne in the town of Elbogen. Louise therefore sold the factory to the brothers Wenzl and Franz Grünes. Wenzl at that time was porcelain plant manager in Altrohlau while Franz was a very successful coal and grain dealer in Schlackenwerth - a job that occupied him fully - and so he only functioned as financial backer, leaving his brother in charge of the factory. Business flourished and Wenzl was already able to pay off Franz in the year 1902. The factory during this period already had an impressive product range including coffee and tea sets, cups for children, compotes, etageres, candle holders, vases and many other household items. Under the ongoing success it was only understandable that Wenzl Grünes wanted to expand and therefore he took in two partners, the businessman Rudolf Wagner as well as the director of the porcelain factory in Aich, Heinrich Wehinger. It only took until 1905 before Heinrich Wehinger took over the whole factory, greatly investing in modernization and expansion which allowed the factory to grow. Two years later the factory already employed 150 workers and the product range included a few lines of hard porcelain tableware, delicate coffee and tea sets, miniatures and vases while the soft paste porcelain products included coffee pots and cups. Wehinger at the same time also owned a factory for fireclay bricks in the small town of Janessen (Czech 'Jenišov') which he sold to Rudolf Wagner in the year 1912 and by the year 1913 the number of employees of the Horn factory had increased to 230. Main markets at that time were the USA, Great Britain, Canada and the Netherlands, something that did not greatly change during World War I (even if actual transport sometimes proved challenging). 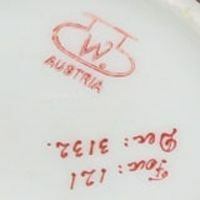 Further growth was predicted for the end of the war and in 1918 Wehinger re-purchased the factory in Janessen, transforming it into a secondary porcelain factory which started operation in 1920. At that time both factories together employed 350 workers. As business was running extremely well at that time Wehinger restructured his factories and transferred them into a stock corporation, leaving the factory in the hands of the main shareholders, the lawyers Dr. Berthold Knöpflinacher and Dr. Oswald Kochler which both came from the town of Leitmeritz (Czech 'Litoměřice'). But lawyers are not automatically good businessmen and a few wrong busines decisions later the company had drifted into financial trouble and was already threatened by closure in 1922, forcing Wehinger to invest some private money to avoid the worst. That helped the company for the next few years but the product range shrunk and slowly drifted in the direction of cheap tableware and earthenware pots. On April 26th 1928 the company was once again deeply in debt with the town of Elbogen (Czech 'Loket') due to open electricity bills amounting to '... 87.937 Kronen und 10 Heller ...' which was quite a packet back then. 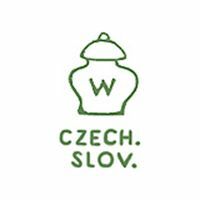 The company somehow managed to survive, but worse was to come as it was shaken by the overall recession in the Czechsolovakian porcelain and ceramics industry. In 1928, the company had become insolvent and filed for bankruptcy. It was for a short time taken over by the Wirtschaftsverband der Porzellanindustriellen in der tschechoslowakischen Republik, Karlsbad (a.k.a. the Porcella Karlsbad group) which could have saved it. But because of the U.S. stock market crash shortly afterwards, the crippled factory was dropped at the end of 1929, sealing its fate. 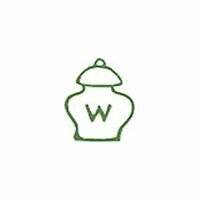 The company of Wehinger & Co. A.G. was officially dissolved in 1930. So far there are no marks known that completely and without doubt could be claimed to have been used by the various owners of the factory before Wehinger took over. Also note that it is claimed (but not verified) that at one time or other Wehinger produced items for the Boston-based company of ⇒Benjamin F. Hunt & Sons and used a specific personalized mark in those cases. Used between 1905 and 1918, the so-called 'spitoon' mark version. Mostly found in red but was also applied in green. Used between 1905 and 1925, so-called 'ginger jar' mark version without any country of origin. 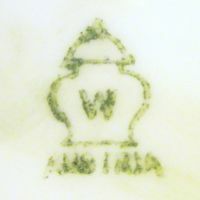 Used between 1905 and 1918, same basic mark as before but above 'AUSTRIA'. 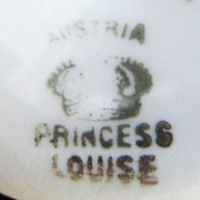 Used between 1910 and 1918, the 'PRINCESS LOUISE' mark including 'AUSTRIA'. Used between 1910 and 1918, another example showing that the mark was sometimes stamped on uneven surfaces. 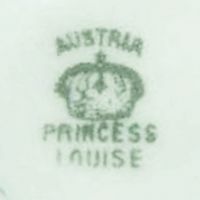 Used between 1918 and 1929, the 'PRINCESS LOUISE' mark without country of origin. Used around 1920, 'ginger jar' mark stating 'CZECH. SLOV.'. 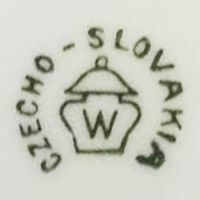 Used around 1920, 'ginger jar' mark with 'CZECHO-SLOVAKIA'.